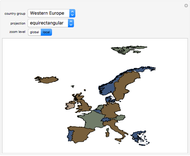 The four-color theorem states that any map can be colored with no more than four colors, so that no two countries sharing a border have the same color. 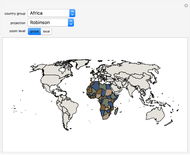 The Brelaz algorithm, used in Mathematica's Combinatorica Package function VertexColoring, four-colors many real world maps very quickly. 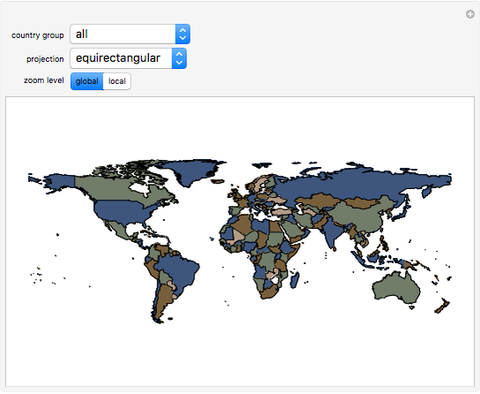 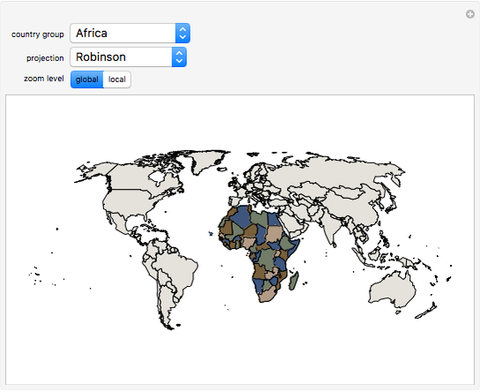 This Demonstration allows you to view a four-coloring of a number of different country groups. The view may be global or local and may use one of several different map projections. Mark McClure "Four-Coloring Real Maps"